It's no wonder Van Camp's Pork &amp; Beans are one of America's favorites for families. Back in 1861, Gilbert Van Camp discovered something great when his wife, Hester, added tomato sauce to an old family recipe. 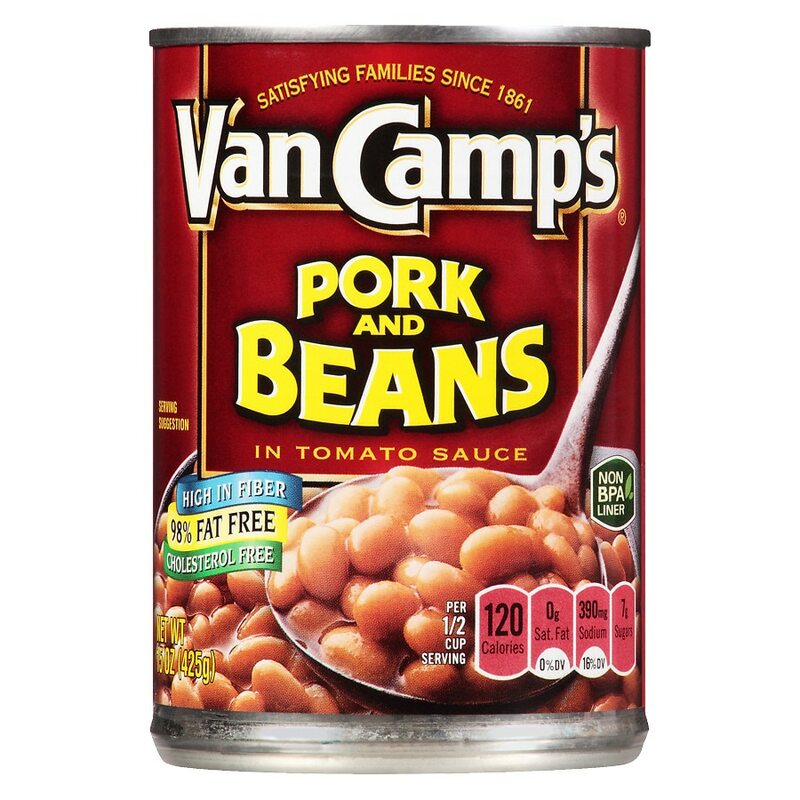 Their son, Frank, perfected the taste by slow-cooking premium ingredients to ensure a rich flavor and unparalleled product consistency, and by 1909, Van Camp's was the number one selling pork and bean brand in the United States. From the Van Camp family table to yours, it's a brand you can trust to bring the comfort of traditional, home-cooked flavor to your meals. Microwave: Pour pork and beans into microwave-safe bowl; cover. Microwave on high 3 minutes; stir before serving. Heating directions Stove top: Pour pork and beans into saucepan. Heat over medium heat until hot, stirring occasionally. Refrigerate unused portion in covered storage container. © 2010 ConAgra Foods, Inc.